The Man in the Mask In the world where the border of truth and lies has collapsed... Drama "The Man in the Mask" features a man Ha DaeCheol who comes and goes between 'legal or illegal' and 'justice or injustice.' He tries to find the answer what true justice is wearing a mask at night to punish those which the law could not. KBS WORLD e-TODAY KBS WORLD e-Today, originally from KBS News Time, covers daily breaking entertainment and celebrity news. It will be on air everyday for less than ten minutes. To satisfy many global fans, KBS World will broadcast celebrity news including K-pop stars daily. Hello, Counselor "Hello, Counselor" is a talk show with an emphasis on people and their stories, regardless of their age or gender to concerns that are too embarrassing to reveal! The purpose of this program is to help take down communication barriers by sharing stories about life. 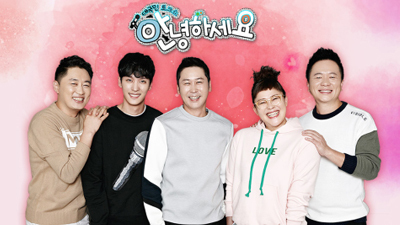 Comedians Shin Dong-Yeob, Jeong Chan Woo, Kim Tae Kyun, and Lee Yeong Ja are the hosts of this program with various special guests appearing on the show weekly. Matrimonial Chaos Is marriage really the completion to love? 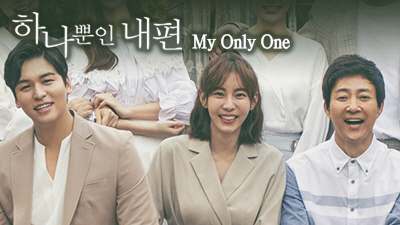 This romantic comedy drama begins with this question and defines the difference in thought between men and women about love, marriage and family. My Neighbor, Charles Foreigners, leaving their homelands behind, have come all the way to new country, South Korea. They chose South Korea not for sightseeing or short-term stay. But, they are here for various reasons, such as work, study or even marriage. The real stories of foreigners who challenge themselves to survive in Korean society will be unfolded! Twilight Delight It is a heartwarming program about the children who cheer for the second act of their parents' lives. Love To The End It is the success and love story of the people had no choice but to part from each other despite their immense love. They try to guard their once-in-a-lifetime love and find the way to happiness. Sunny Again Tomorrow A high school graduate with minimum qualifications tries to reset her life with dogged perseverance by founding a fashion company and turning into a CEO. Gag Concert The Power of Stand-Up Comedy! 'Gag Concert' delivers the most up-to-date source of smile and fun in Korean society. His program first introduced the new style of comedy mixed with open concert to Korea, and it now became the prototype of Korean comedy show. 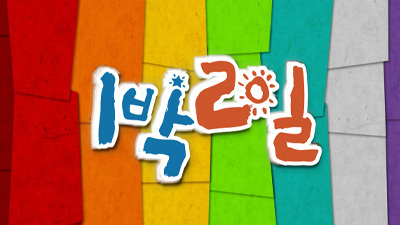 Composed of many short sections, the program draws laugh and smile from viewers. My Only One A woman's life gets twisted one day because of her biological father who shows up after 28 years of absence. He had been thoroughly hiding his identity, afraid that he might be an obstacle in his daughter's life. The father and daughter meet the "only ones" in their lives and put back together the pieces of their broken hearts. Two Days and One Night Two-day road trip to the beautiful spots in all the corners of Korea! Instead of fancy studio, this on-the-road reality show takes place in the rural sides. While over 10 million Koreans travel abroad each year, the "2 Days and 1 Night" casts travel around Korea - to the mountains, farms, fishing villages, islands - where you can meet the welcoming smiles of our neighbors and the beautiful nature that cleanse our eyes. 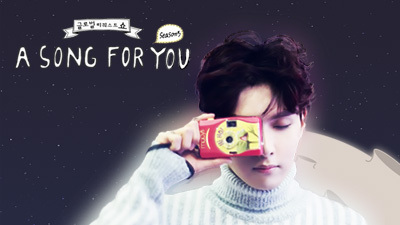 A Song For You Season 5 Global Request Show "A Song For You - Season 5" is back with Super Junior's Ryeowook as the MC! Global fans get to request their favorite K-Pop star to sing for them, and the star will sing the song exclusively for that fan! SEOUL In-Stars 'SEOUL In-Stars' is a program that introduces hidden charms of Korea including Korean history, art, and cuisine in every corner of Seoul to the global fans of Hallyu! KBS News 9 [LIVE] Korea's the most watched and the most revered news program. Dancing High A dance battle program of the teenagers, by the teenagers, and for the teenagers! Find out the best dancer among Korea's teenagers!